Diacetyl (2,3-Butadione), the characterizing component of butter, is a naturally present flavor component in many of my favorite foods: butter, wine, coffee, strawberries, cheese, tea, beer and mangos. Just like butter is essential to any good recipe, diacetyl was an essential ingredient for flavors. I say was, because now we know diacetyl is hazardous and causes bronchiolitis obliterans, a debilitating and sometimes fatal lung disease. Workers in the food and flavor industry have suffered from this disease (http://defendingscience.org/case-studies/case-regulatory-failure-popcorn-workers-lung). Adding diacetyl to flavors is now restricted. Diacetyl, a yellow liquid, is naturally present in food and safe to consume and the level used in food, but it is hazardous to the people who work with it. Sadly, this wasn’t discovered until some workers died and contracted irreversible lung damage. Until mid-2005, I used Diacetyl in most of my flavors. Cream soda, orange cream, caramel, toffee, lemon cheesecake, french vanilla, apple pie and even a chicken flavor. The reason my strawberry flavors are amazing is because I knew the perfect amount of diacetyl to add to make strawberry full and smooth. 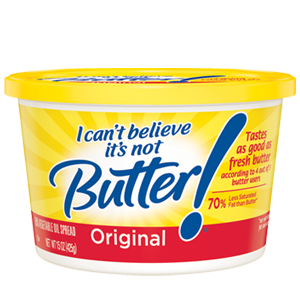 Alternatives to diacetyl in flavor creation would most likely stem from the flavor components of butter. These include: acetoin, 2,3-pentadione, delta decalactone, delta dodecalactone, 4-cis-heptenal, butyric acid, caproic acid, capric acid, ethyl butyrate, ethyl lactate, ethyl laurate, ethyl palmitate, ethyl oleate, lauric acid and DMS. Formulas for butter flavor are in Dairy Chemistry and Physics by Pieter Walstra and Robert Jenness, a dairy science text book. Commercially, there are companies that offer building blocks for butter flavors. These “blocks” can be derived from the processing of butter and milk are known as butter acids, butter esters and starter distillates. When dairy prices are high, though, and companies are looking for flavor alternatives to give lower cost, these ingredients are not a good choice. Butter flavor is used by food companies, to reduce cost and provide flavor stability. I am regular visitor of your website and I find your posts really good. I tried to buy this book “Dairy Chemistry and Physics by Pieter Walstra and Robert Jenness” as I want to make butter flavour but I suppose no new book is available. I would appreciate if you can provide me recipe to make butter flavour. I have access to all those aroma ingredients which you have mentioned above. Please also let me know if you work as a freelancer as I do get projects to develop flavours/fragrances. I am writing it here as I was unable to find contact details. You may not publish post, if you wish so. Your help/reply will be highly appreciated. PS: I tried making butter flavour with di-acetyl, butyric acid and ethyl butyrate in PG but somehow flavour remains very rancid due to buytric acid. Hi Vivek: I’m sorry I do not consult or sell flavor formulas at this time. Time to time, I may post simple formulations. Formulations are derived by experience, knowledge and perseverance. Experience is gained by smelling and tasting materials. Keep good records and try materials at different levels, make notes on what they remind you of and what they would blend with. Taste, re-taste and smell everyday. Knowledge is gained from literature or analytical work. Perseverance is what it takes to make a formula, most of my formulas took 5-150 tries to get it “right”. A reference to the art of flavor creation can be found at http://www.fks.com/subpage.aspx?pID=6. I had guidance, but was mainly self taught. Hang in there! The first step of creating flavors is getting to know each material individually.